TOKYO -- Turkey's currency crisis is adding to the financial troubles of emerging Asian economies that have taken big loans for infrastructure projects under China's Belt and Road initiative. The plummeting lira is forcing Asian nations to consider rate hikes to shore up their currencies (Indonesia tightened policy this week). Failure to get back on an even keel could add to heavy debt-servicing costs that undermine financial stability. Loans from China help emerging economies pay for the infrastructure improvements they need to foster economic growth, but heavy debt-servicing costs threaten to undermine their financial stability. 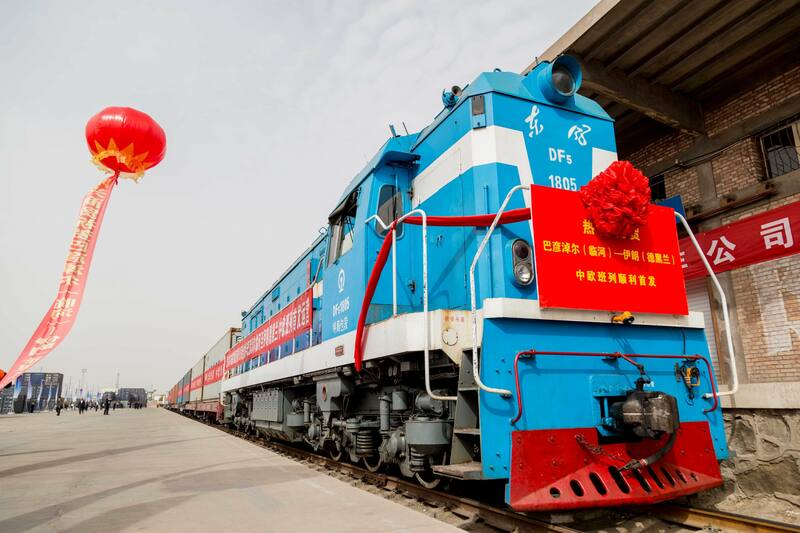 The Center for Global Development, a U.S. think tank, says Laos, the Maldives, Mongolia, Pakistan and four other countries taking part in the Belt and Road initiative are already at risk. In Mongolia, external debts are now around eight times the country's foreign exchange reserves. The foreign debts of Laos and Kyrgyzstan exceed 100% of gross domestic product. Highly indebted countries are more vulnerable to a sudden currency depreciation. As their currencies fall in value, it becomes harder for them to pay off their debts, which are typically denominated in dollars. China's growing presence as a global financier has begun to erode the clout of the International Monetary Fund. The IMF has long acted as the lender of last resort for the world. Its policy prescription of bailing out financially troubled countries on condition of fiscal reform, dubbed the "Washington Consensus," formed the core of the postwar financial order. It helped tamp down the 1994-1995 Mexican currency crisis and the Asian currency crisis of 1997, both triggered by U.S. monetary tightening. But no country is happy to take IMF assistance given out in exchange for strict austerity measures. With China emerging as an alternative lender, some nations are naturally turning their backs on the IMF even if that means being exposed to unpredictable market forces. Turkey, the epicenter of the current financial turmoil, has steadfastly refused IMF assistance. And Pakistan has been similarly resistant. Pakistan was a frequent recipient of IMF financial lifelines in the past. But the brand-new government of Prime Minister Imran Khan, formed after July general elections, is different. Asad Umar, minister for finance-in-waiting, has told a newspaper that seeking an IMF bailout would be a "fallback option only after exploring our preferred options," such as stopgap loans from China. Around the time of the elections, in late July, Pakistan's foreign currency reserves rebounded to $10.3 billion from $9 billion, sparking speculation that China had extended financial assistance. Yet, as the country becomes more dependent on China, fiscal discipline will take a back seat, raising the risk of being overburdened by excessive debt. Pakistan's external debt has risen by 50% over the past three years, reaching nearly $100 billion. Around 30% of that is owed to China. An international finance expert who has worked at the IMF points out that the organization has made the lending framework more flexible. Still, for emerging countries, assistance from China, which proclaims that it does not interfere in domestic affairs, looks more attractive. This means that as long as troubled countries continue to rely on China, their structural problems will not be addressed, and their debt may keep growing. Sri Lanka, facing its own cash squeeze, has handed over the right to manage the Port of Hambantota to a Chinese company. If such arrangements become routine, the risk could spread to national security. And there are already signs of that. A high-speed railway being built in Laos under the Belt and Road Initiative is estimated to cost $6 billion, or about 40% of the country's GDP. Although China is financing roughly 70% of the cost of the railway, Laos has taken out loans from Chinese banks and other lenders to cover most of its share. Repaying those loans will be a strain on the economy. In Central Asia, Turkmenistan is battling an economic crisis and liquidity crunch brought on by debt payments to China. Nearby Tajikistan has sold the right to develop a gold mine to a Chinese company in lieu of repaying loans. The IMF has traditionally been the "lender of last resort" to financially troubled countries. In exchange, the fund typically demands that they get their fiscal house in order by cutting spending or raising taxes. China's willingness to provide loans may offer debtors a temporary reprieve from such strictures, but at the cost of their long-term financial and economic health. Akihiro Sano in Istanbul and Yuji Koronuma in New Delhi have contributed to this report.